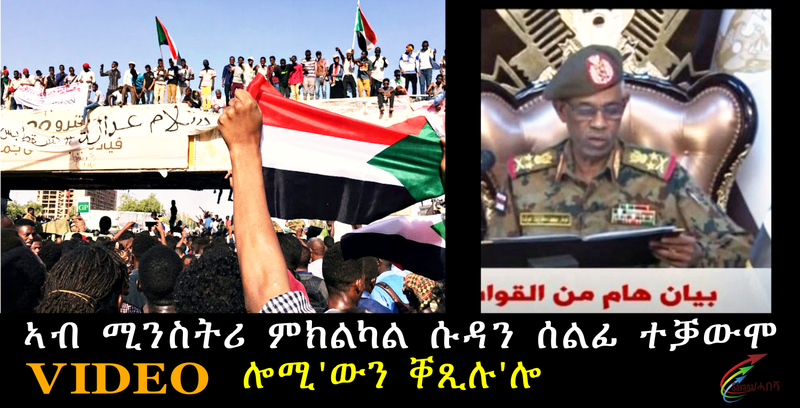 April 12, 2019 (KHARTOUM) -The opposition alliance Sudan Call has condemned the military coup in Sudan and accused the “Sudanese Islamic movement military wing” of seizing the power to reproduce the old regime. “The takeover has preserved the political and economic structures of the old system, and the new junta has not provided any political solution to end the war, to effect democratic transformation, or a means of solving the economic crisis,”. said Yasir Arman, Secretary of External Affairs of the Sudan Call. ” It is old wine in old bottles. For the sake of the Islamists, it is old milk in old bottles,” he stressed. The coup “ignored completely the forces of freedom and change, who have led the revolution, and more importantly, they have ignored the demands of the Sudanese people for peace, democracy and equal citizenship,” he stressed. “The U.S. government in the coming days will discuss the situation with government officials and a range of Sudanese stakeholders to encourage a democratic transition,” further said the State Department on Thursday. “We appeal to all democratic and peace-loving countries and organizations and to the UN Security Council and its Permanent Members to support the demands of the Sudanese people for peace and democracy,” said the statement.